If you liked Animal House the movie, you’ll love Animal House the, er, house. 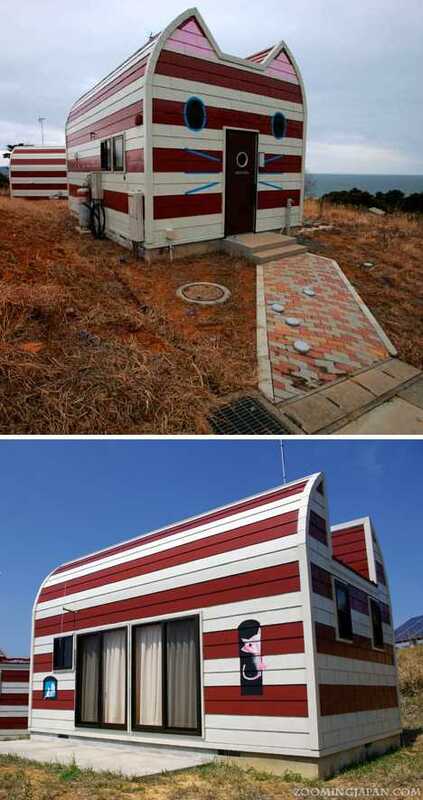 This unlucky group of 13 zoomorphic buildings make being sent to the doghouse (or cathouse, as the case may be) a decidedly different experience… we can only imagine what pets think about living there. 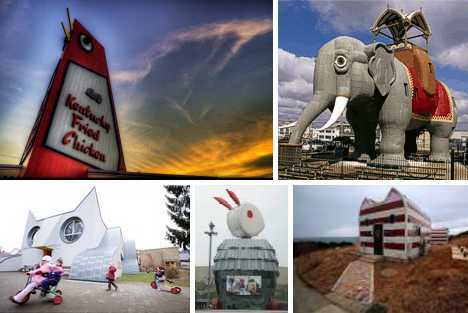 Built in 1963, damaged by a storm in 1993 and subsequently rebuilt following massive public outcry, the 56-foot (17-meter) tall Big Chicken in Marietta, Georgia will be celebrating its 50th anniversary this coming year. 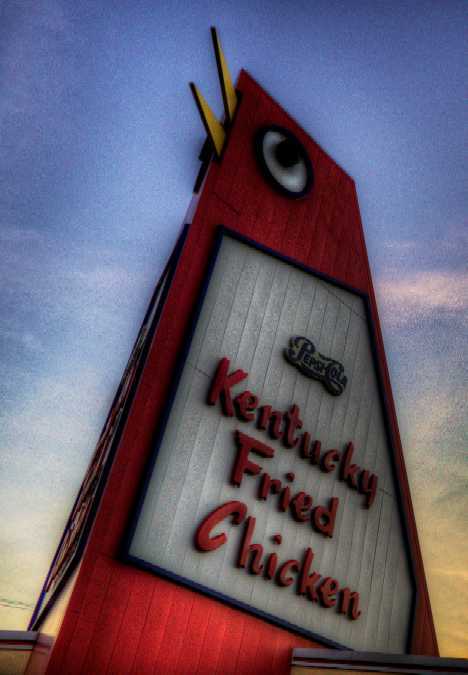 Though it’s enhanced a KFC outlet for decades, the steel-sided structure originally promoted Johnny Reb’s Chick, Chuck and Shake until owner S.R. “Tubby” Davis sold the restaurant to his brother. Though not a livable building as such, the Big Chicken is hollow to allow access for occasional maintenance work on the motorized moving eyes and beak. 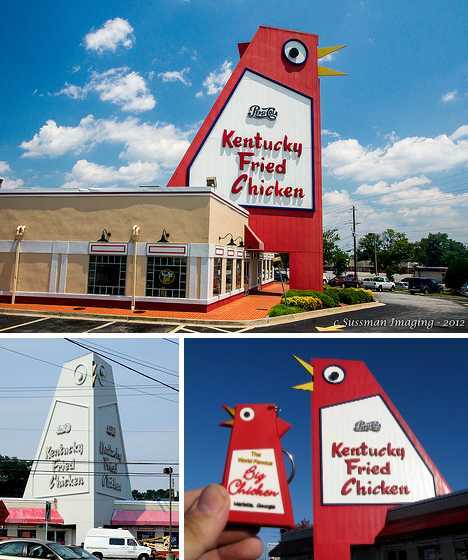 Visitors looking to check out the Big Chicken up close and personal will find it at the intersection of Cobb Parkway (U.S. 41) and Roswell Road (Georgia 120), though it’s not known whether the KFC outlet still offers souvenir Big Chicken keychains. 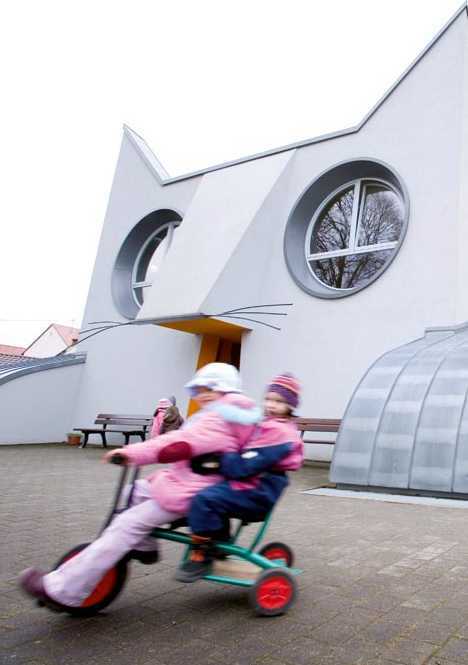 You’d think a zoomorphic kindergarten in Alsace would look like an Alsacian but nooo… the Katzenkindergarten is as cat-like as Hello Kitty though it’s a lot less cute – and that’s a good thing. Turkish-born architect Ayla Yöndel designed the building based on a concept by local artist Tomi Ungerer. It opened in 2002 and stands as an expression of the “Europe Without Borders” project between the German region of Baden-Württemberg and the French region of Alsace. The Cat Kindergarten isn’t just a novelty though its appearance is novel indeed. Entry is through the mouth, doomed-mouse-style while the legs house game-playing areas and the belly is where you’ll find the kitchen. 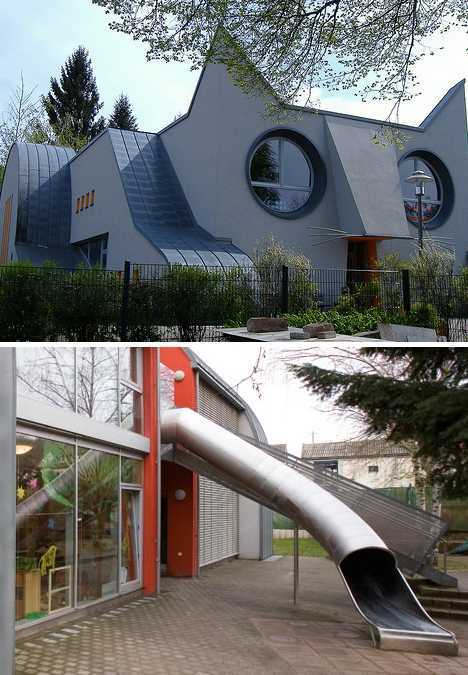 Children and young-minded adults can access the back yard via a slide in the shape of a cat’s tail. 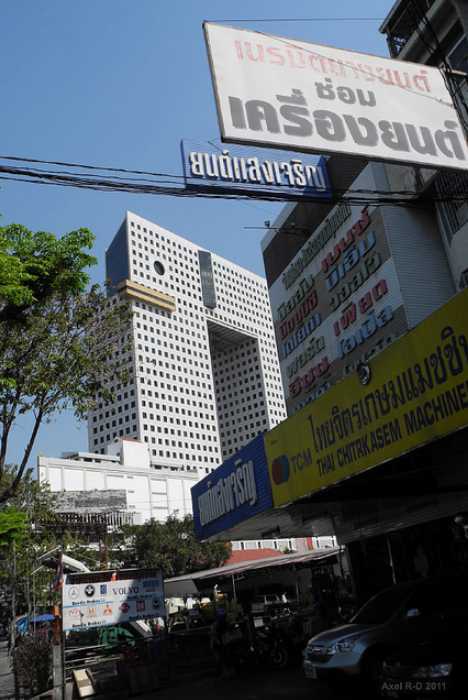 Known locally as the Tuk Chang, the so-called “Elephant Tower” building in Bangkok, Thailand’s Chatuchak district features 32 floors and stands 335 feet (102 meters) high. 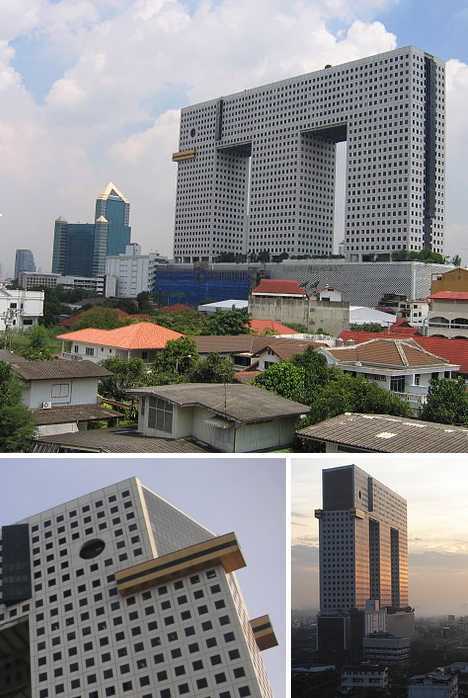 Designed by Thai architects Dr. Arun Chaisaree and Ong-ard Satrabhandhu, the iconic structure was completed in 1997. Like it or not – and the building has its fair share of lovers and haters – the Elephant Tower has been generally well received locally and in 15 years of existence has become a must-see Bangkok landmark. Some sources report the top (horizontal) section has never been finished due to a combination of financial and logistical considerations: do the elevators run sideways? Tashirojima is a small island located off the northeastern coast of Japan that’s become famous for its population of semi-feral cats. Revered by local fishermen for their rumored ability to forecast storms, Tashirojima’s cats demonstrated their innate weather prognostication powers by loudly moaning in unison just after the 9-magnitude Great East Japan Earthquake struck the island on March 11, 2011. Both cats and residents quickly made for high ground and no casualties (human or otherwise) were reported after a monster 30-ft (10-meter) tsunami rolled in from the sea. Some years ago the cats of Tashirojima began to get publicity which resulted in a growing number of tourists visiting the island. 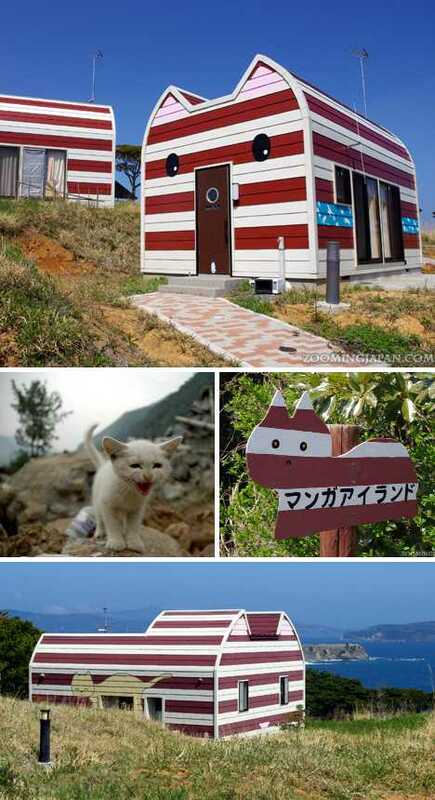 A local entrepreneur hired manga artist Shotaro Ishinomori, famed for Kamen Rider among other titles, to design a group of cat-like cabins for a resort known as “Manga Island”. All things considered, the island and the cabins are less visited than usual of late.